After 50 years in Schaumburg, Motorola Solutions Inc will be moving its global headquarters to Chicago. Schaumburg, which is about a 40 minute drive outside of Chicago, has been an example of how a company can create a sprawling corporate campus in the ‘burbs. Along with its headquarter operations the giant maker of communications equipment for government and first-responders will be taking about 800 jobs to Chicago. There will remain behind in Schaumburg a cadre of mostly software and hardware engineers numbering about 1,600. They will be grouped into two buildings, the twelve-story corporate tower, and the 2-floor IT building. The entire campus, all 277 acres, will be sold and redeveloped. 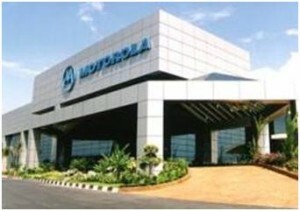 Then Motorola will lease back the two buildings back from the new owners, said spokeswoman Tama McWhinney.